A property is generally the principle part of anyone’s Estate and so factors heavily in any consideration relating to inheritance and to inheritance tax. Financially and emotionally speaking the house can be the hardest aspect to deal with following the death of a close relative or loved one, especially if it is soon to be vacated. In some cases a property will be vacant following the death of its owner and in other cases it will be occupied by relatives, friends or tenants. If the property had an outstanding mortgage you will become liable to pay it alone, or with other inheritors. In all of these cases a different approach is needed legally and from a personal perspective. 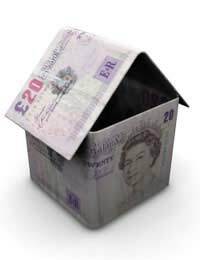 It may be that you inherit a property with someone living in it. If the property is jointly inherited with that person, you will need to discuss whether both sell up and they leave the house, or whether one of you sells your portion to the other, or chooses to re-mortgage their portion. If you inherit a property and it has a tenant in it you will become the landlord of that property and will therefore assume the associated legal responsibilities. If this is the case it is imperative that you familiarise yourself with the tenant and the tenancy agreement. If you wish to sell the property or move into it you will be able to cease the tenancy, but only within the parameters set out in the tenancy agreement. This normally requires two months notice of termination of the contract coming up to the end of 12 month tenancy period. Prior to that it is not possible unless the tenant has defaulted on their agreement. If you inherit an occupied property that the deceased lived in with a tenant as a live-in landlord, the lodger may have rights beyond those of a normal tenant. In this case seek advice from your local Citizens Advice Bureau, but above all seek to form a relationship with the tenant. Inheritance Tax on property has been suitably covered in other related articles (see main menu). You will be liable to pay this if you inherit a property, and may be liable to pay Capital Gains Tax on it if you hold on to it for a periods of time. You will be exempted from Capital Gains Tax if you sell immediately (as deceased persons are exempt from CGT) or if you register the house as your main home. Capital Gains Tax is payable on the increase in the value of a property over time. From a personal perspective dealing with the property of a deceased friend or relative can be difficult. For this reason it is best to seek help from others who knew the deceased and to form bonds with others who will be involved in the process following their death. As hard as it may be, if you know that you are to inherit property it may be worthwhile involving yourself in the working of the property prior to the death of your friend or relative, especially if they are renting to someone. This is more the case if the owner is very elderly or terminally ill.
Where property is involved legal wrangles can lead to upset, partly for personal reasons, partly for the money involved. Try where possible to adjudicate with all interested parties within the framework of the law and in a civil manner. Approaching the situation with courtesy will help you to manage a difficult situation. I have reserched and there seems to bespartanattention in the least to shared ( but equal) sibling inheritance whereby one or more decide to move in to what was their parents property to the detriment of the remainder and will notunder any civilised approaches contemplate, ( not responding to letters, phone calls, withholding rightful access), sorting things out. This is a paralell form of squatting with more than unusual, potent reperccussion for the absenteeinheritors. Witha Bill on ammending/reducing squaters' rights currently being debated in Parliament shouldn't it be right and proper that squatting in any form be covered ( including commercial property ) so that in general people are discouraged from taking advantage of circumstances / situations to the patent and clear detriment of other rightful parties without their consent/permissionfor whatever democratic excuse that forms in their mind. I could add one - but I'm afraid my deceased parents might get to hear some qestionable language. No need to reply, please just keep it in mind. Thank you for this forum.